Minister Brian Hayes stressed today that the businesses will have to be “in keeping with the heritage and with the recreational nature of the sites”. Kilenny Castle is one of the sites on the list for the plan. IN WHAT HAS been described by Minister Brian Hayes as a ‘novel scheme’, the Office of Public Works is to hand out leases to private firms on some of the country’s most popular heritage and historical sites. 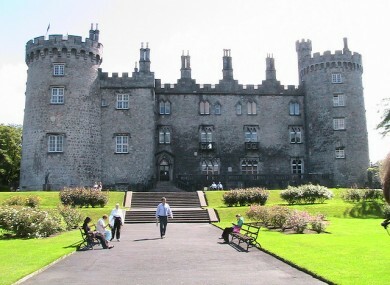 The list of properties includes Dublin and Kilkenny Castles, Derrynane House and the Doneraile Wildlife Park in Cork. Leases of up to ten years will be given to businesses for commercial ventures but Hayes stressed that they will have to be “in keeping with the heritage and with the recreational nature of some of our sites” so casinos and hotels are off the cards. I don’t know how successful it’s going to be, I have to be very frank, but I was determined to do this and the Office of Public Works is leading the change within our own organisation in terms of making sure we look at novel schemes like this. Hayes said that he “managed to obtain an agreement” from Minister for Pulblic Expenditure and Reform Brendan Howlin, that an additional revenue generated by the plan can be ringfenced for other heritage projects. He added that this was “not just about the top ten sites that everyone knows” but also about encouraging investment into other “second-tier” sites and establishing opportunities for job creation. The minister is now inviting proposals from companies to “provide enhanced visitor experiences” at these sites. Applicants will be requested to outline how their proposals will raise the profile of heritage sites, generate increased footfall and generally be in keeping with the presentation of the site in question. Email “OPW to give leases on heritage sites to private companies”. Feedback on “OPW to give leases on heritage sites to private companies”.